Vishal is the star hero of Kollywood film industry who is currently busy working on his upcoming film’s shoot. The actor is participating in a key schedule of the movie where the director planned to shoot the action sequences. 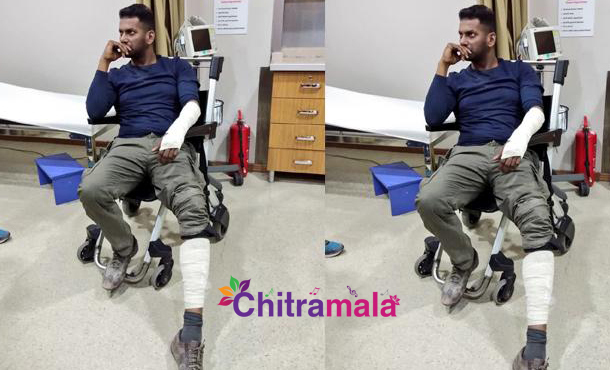 While performing a stunt, Vishal got injured severely and he got his left leg and hand fractured. The film’s shoot is happening in Turkey and the makers immediately rushed the actor to the hospital. The film unit revealed that Vishal attempted the stunt without the help of body-double and hence the incident took place. The actor was given treatment on time and he is currently advised rest completely. Vishal might soon flew down to Chennai and the shoot might begin once Vishal is back to normal. We wish Vishal to have a speedy recovery.